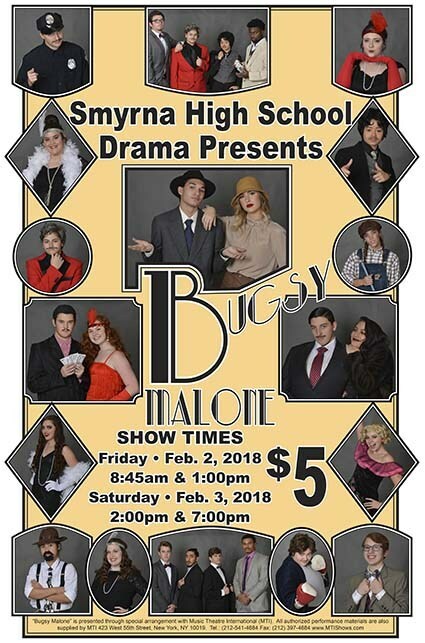 The Smyrna High drama students will be presenting their production of Bugsy Malone on Friday, Feb 2nd and Saturday, Feb 3rd. Show times on Friday are 8:45am and 1pm. Saturday times are 2pm and 7pm. Tickets are $5. 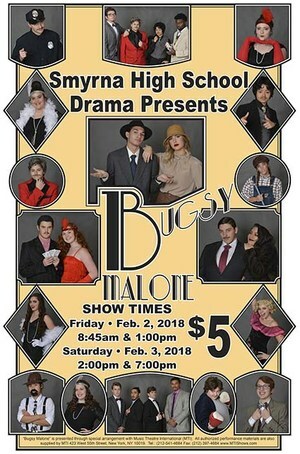 Come and support the drama students and enjoy a great show!